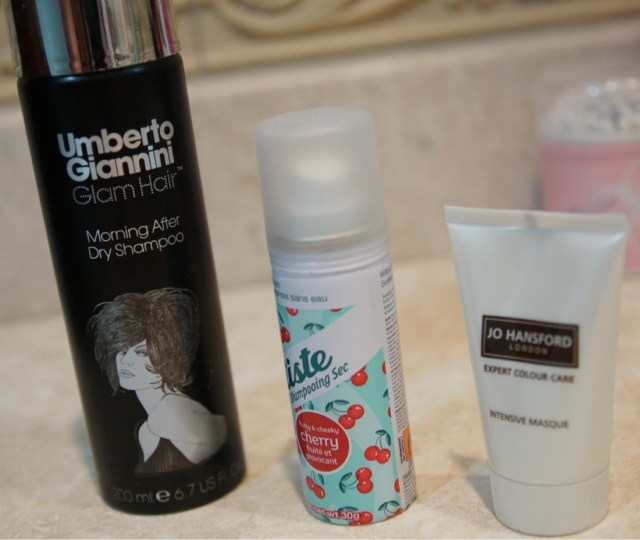 One of my favourite posts to write-here are my January empties. And I have loads this month!! I've really been trying to use up half empty bottles and some of the travel size/sample size products I have lying around. It's such a shame Laura Mercier discontinued this fabulous bronzer. It was the perfect shade for a pale girl like me (NW15!) and it wasn't shimmery like Mac Mineralise powders and it wasn't matte like Benefit Hoola. 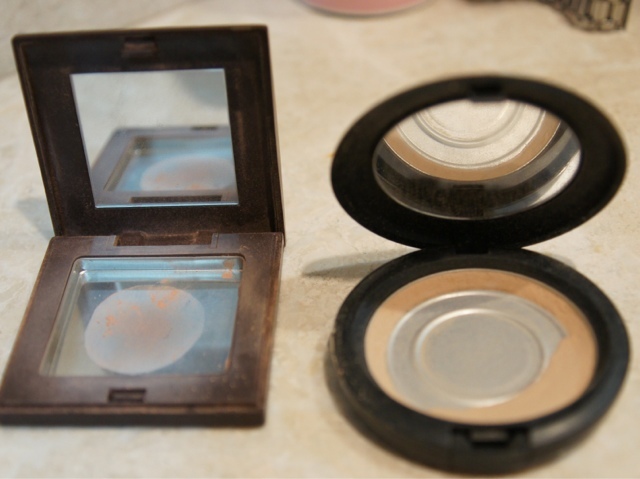 I love it, it lasted me years and it could be used as a subtle bronzer or blusher. It always surprises me that I am 'medium dark' in this range but this is a HG product for me. I carry it with me every single day and its great for mopping up any excess shine during the day without clogging or clumping. It's almost translucent, but if you are interested in this product its definitely worth getting colour matched by a Mac make up artist in store. Also, when you hit pan on this it does tend to crumble away at the sides quickly making it difficult to use. I got this mascara in my Estee Lauder Michael Kors Holiday 2012 set and my first thought was 'that's going straight in the bin!' That's because I had tried it before and hated it-I found the brush too big to control properly and always ended up with mascara on my eyelid. But coincidently the lovely Helene at Icaria's also posted the same day about this mascara and said how it was one of her favourites. What was I missing out on?? So I gave it another try and it's fair to say I was converted! Yes the brush is huge and I always had to do some clear up of mascara smudges on my eyelid but I loved the effect on my lashes- it really volumises and lengthens your lashes. No clumping, zero fall out, buildable (I like 3 coats) and very little smudging even after 12 hours wear (and if you use something like Anastasia Lash Genius you get none at all). I do not like a natural mascara look to be honest-I love thick, full, dark lashes. And this certainly ticked all the boxes. Would I repurchase? No, but the only reason why is that I don't really like the brush and hate having to clean up mascara off my lid after applying eyeshadow. But for the effect on the lashes it was fab. 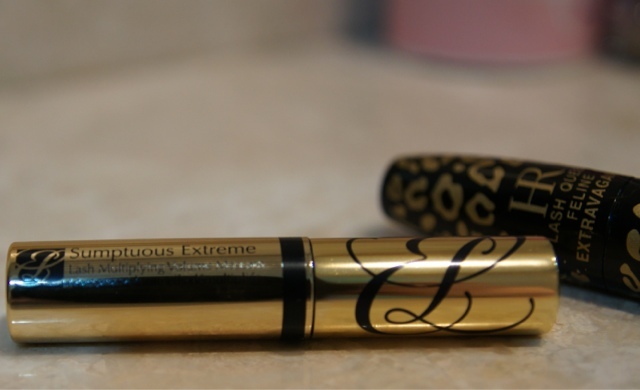 Firstly I adore the packaging of this mascara with its sleek black with gold animal print pattern. It looks super-luxe. I love this mascara, it does everything I want in a mascara-thicken, volumise and lengthen. If I were to pick one negative it would be that I did get some smudging under my eyes at the end of the day. But that was easily removed with a cotton bud swatched with eye make up remover. And, like YSL Faux Cils it does dry out quite quickly and was more or less dry after 2 months daily use. I've said before that with cleansers I don't expect miracles, I just want products that clean my skin, aren't drying, don't break me out and don't leave residue on my skin. 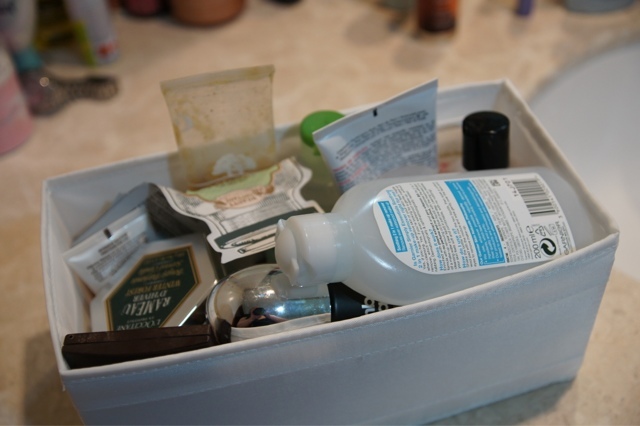 I'm a big fan of Kiehls skincare-however this was a really unusual cleaning experience. The Ultra Facial cleanser is a gel cleanser you apply to a wet face and then rinse. But when you apply it to wet skin it sort of has this 'suction' effect to your skin as you're massaging it in. It's not unpleasant in any way, it actually feels like it's getting all the make-up, dirt and grease off your skin and it washes off easily-it isn't 'stuck' to the skin. In all honesty it's not my favourite Kiehls cleanser and actually I feel it may be more suited to mens skin. Its fragrance free and suitable for sensitive skin. This was part of my Christmas present from the lovely Anna, my friend who has relocated to Bangkok. This is another facial gel but much lighter than the Kiehls product. I won't say too much about it because it's a Thai product that doesn't seem to be available outside of Thailand (although I have found it on amazon.com for $25). It's really lovely, light and leave skin clean and soft without drying-everything I want from a cleanser. 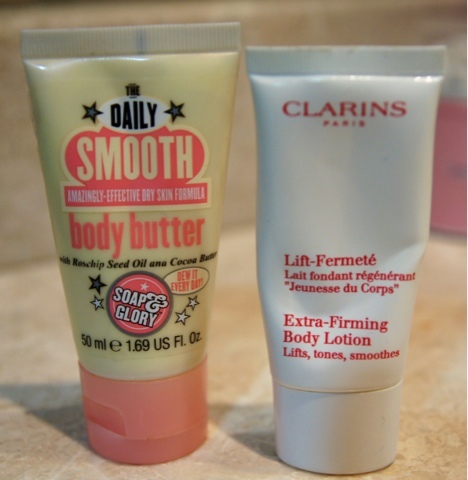 I do love Clarins-I think their skincare is lovely, their body range amazing and their make up very underrated. I've had a few tubes of this cleanser. I love the simple white and red Clarins packaging-it is instantly recognisable. This is a very light cream facial wash perfect for morning and evening use and is very mild. I think it smells slightly 'soapy' but the smell doesn't linger. This is exactly what I want from a cleanser-cleans your face, doesn't cause breakouts and doesn't leave my skin dry. A great cleanser for all ages. Probably my favourite eye make-up remover EVER! I love it because it's like water, non greasy and totally effective! I can't buy this in Dubai so I bulk buy in the UK-I have 10 stashed away in the bathroom! Perfect for sensitive eyes, light and refreshing and amazingly effective even on waterproof mascara. If anyone asks me for an eye make-up remover recommendation this is what I tell them to buy. And its cheap too! Would I repurchase? Yes, a million times over! This is my 2nd favourite eye make-up remover!! This is bi-phase, oil and water and to me is very similar to Lancome Bi Facil. What I tend to do is remove my eye make-up with this, cleanse my face with whatever cleanser I am using then wipe away any excess mascara/residue with the Simple eye make up remover because the Garnier one is quite greasy and the Simple one just ensures no residue is left so that you can apply eye cream straight away. I find this extremely effective but gentle at the same time. The bottle says you can use this on face and eyes but I would not use it on my face because it is quite greasy. Again this is a supermarket purchase I stock up in the UK-I've got 8 of these stashed away too and will no doubt buy more in March! Would I repurchase? For sure!! Would I repurchase? Definitely, they are lush to use! I used every drop of this rich eye balm but I am on the fence about whether I liked it or not. It is pricey-it cost 34g for 14ml but 14ml lasted me 4 months using it daily in the evening. It's very rich-it is enriched with Harberlea Rhodopensis, a rare flower that can survive for 31 months without water. As soon as it is hydrated it comes back to life within hours. The Balm aims to tighten and hydrate the eye area and to reduce the appearance of fine lines. That's the blurb-the reality is that this cream is thick and heavy. You need to use a tiny bit and you must warm it between your fingers before applying otherwise it drags on the skin, doesn't absorb easily and stings my under eye area. I don't think this is suitable for sensitive skin and would highly recommend trying a sample from your local Kiehl's counter before you buy. I love Kiehls but personally this one wasn't for me. I'd never ever heard of this product! I can't believe I haven't because it is AMAZING! I got this in the Latest in Beauty advent calender and I tried it out just to use it up to be honest. But wow!!!!!! It has a texture a bit like vaseline but without the stickiness. It's fragrance free and smooths easily under the eye-the results are almost instant-smooth and brightened under eyes. I was worried the texture would take a while to sink into the skin but it doesn't-its not greasy at all. I think this was my favourite discovery of the year so far. Definitely suitable for sensitive skin as its so moisturising. Quite simply I am in love. You can also use this product on the lip area too. Love, love love!!! Would I repurchase? Yes, yes, yes!! A total classic in my book! I won't say too much about it as I reviewed this product here so click the link to get more info. What have I replaced it with? Vaseline! I seem to have 4 tins on the go at the moment and actually I don't even like it that much-have realised I much prefer a tube of lip balm over vaseline especially before applying lipstick. 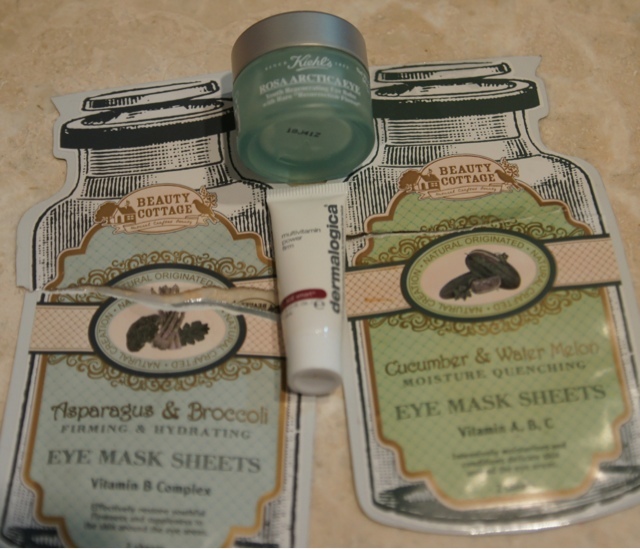 I received this in the Cult Beauty Goody Bag. it was a tiny tube but it lasted absolutely ages! 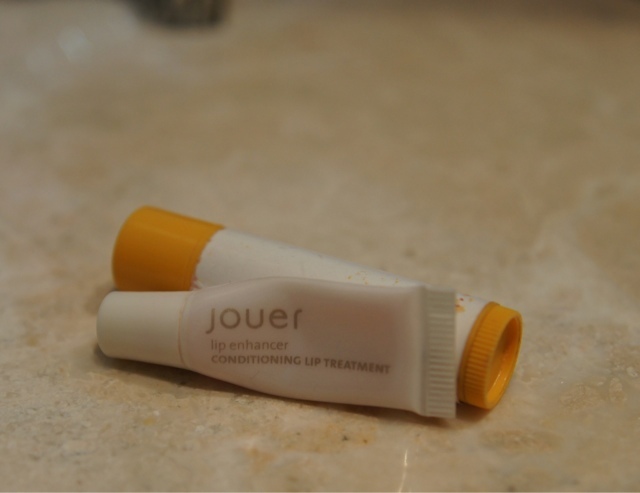 This was also the first time I have tried anything from Jouer. This is a light balm/cream enriched with jojoba, shea butter and Vitamins A and C. It's very very slightly tinted pink so leaves a lovely sheen on the lips. Recommended as a night treatment but actually I used this in the daytime before lipstick-its a great base. This body butter isn't as heavy as say a Body Shop body butter which makes it ideal for daily use whilst still being super moisturising. It contains rosehip seed oil and cocoa butter. Seem to be hearing lots about rosehip seed oil at the moment-need to investigate more!! I love Soap and Glory's retro packaging as well. What have I replaced it with? Jergens firming body moisturiser. This is a velvety light lotion rich in plant extracts which help to restore elasticity and density. I really like this lotion, whether it really firms or not it absorbs rapidly and feels lovely on the skin. I am a big fan of dry shampoo's. I have very fine, lifeless hair and I find a squirt of Batiste adds a little bit of body. Love the packaging of this product, the actual product itself not so much. Having said that, it works ok as a dry shampoo the day after (like it says on the tin then!) but it's not good on clean hair like Batiste is-it actually leaves hair quite lank and greasy. I won't blog about this every month because I do probably go through one a month but I am including it this month because I LOVE the smell-I love cherry!! It's just so fruity and juicy! Batiste is a HG product for me, it's great for adding body and texture to fine hair like mine and great for turning a 'can't be bothered to wash hair' mess into something passable! Adore it! What have I replaced it with? Batiste, this is another product I stock up on in the UK, I bet I have 15 tins of it in the bathroom!! This was another item in the Latest in Beauty advent calender. My fair is fine and lank and gets knotty very easily-it's also long so I like to add an intensive treatment every now and then to make my hair super smooth. Described as a 'little pot of magic' this intensive treatment contains keratin, sunflower extract to extent the life of coloured hair and strengthen hair by boosting the protein structure. I was not impressed at all-even after leaving it on for the recommended 5 minutes I couldn't get a brush through my hair afterwards. When I have tried other intensive masques my brush has gone through my hair like a hot knife through butter afterwards. I'm also shocked to learn this costs £27 for 150ml. Would I repurchase? A definite no! A couple of products left over from Christmas. 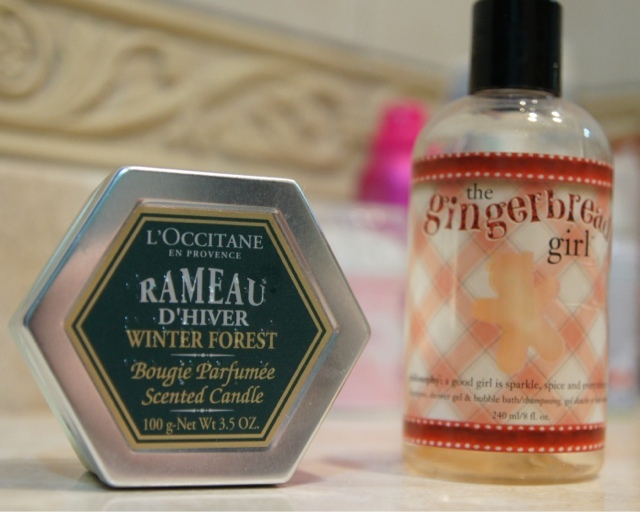 I loved this candle from L'occitane. It smelled wintery and comforting. I wouldn't normally review shower gel as I am very much a supermarket 'whatever is on offer' girl. But I really did love this spicy, sweet ginger shower gel from Philosophy. Christmas was a difficult time this year for a few reasons but every time I used this it was like a 'hug in a bottle'! Beautifully packaged in a gold compact, this powder contains a 'shine stopper' complex to control shine for hours and mattify the complexion. But it just doesn't work for me and I've noticed the reviews on the website are not good either. It seemed to clump on my face so I ended up looking patchy-never a good look! Having said that, I really really liked the Clarins Ever Matte foundation and it certainly hasn't put me off Clarins as a brand. But for powder I'll stick to my Mac Blot Powder. 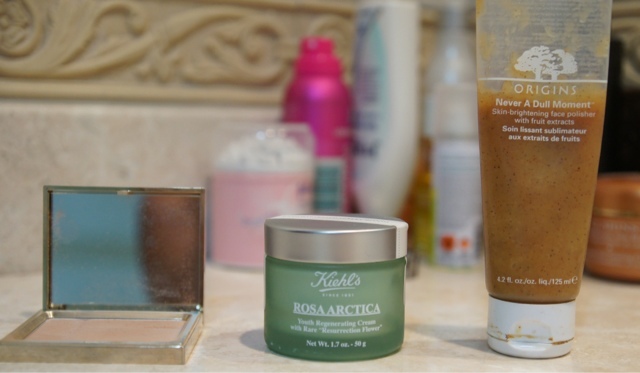 I reviewed the eye cream in this post as well and said I was on the fence-but the face cream gets a thumbs down from me. The packaging is lovely, it comes in a big green glass jar so it looks lovely on your dressing table. But I have a bit of a thing about moisturisors that come in a jar-every time you open it air and germs get in and I hate having to stick my fingers in-I just prefer squeezable tubes for hygiene reasons. I knew this was a slightly heavier moisturiser than I would normally wear but I got it to try because I'm always in air conditioning and fly regularly which are both known as being drying to the skin. Initially my skin was fine when I used it, but again you must warm this in your hands before applying otherwise you get white residue on the skin. But after a while I kept finding I was getting really horrible spots round my chin and I narrowed it down to this moisturiser. And as soon as I stopped using it, they disappeared. Having said that, I suspect this would be a great cream for dry skin. It contains the same ingredients as the eye cream and promises to firm, reduce fine lines, hydrate and give your skin radiance. It does plump your skin and leave it feeling hydrated but it's too rick for my combination skin. This is a product I want to love-I keep buying it and trying it and every time am disappointed. Why do I do this to myself?? And I know loads of people who love this-why I can't get on with it I don't know. Ok so firstly, I hate the smell. To me it smells like plastic and honey. Strange combination I know. Especially as apparently it doesn't contain either. It does however contain papaya extract, apricot and ground mango seeds. Secondly I hate the texture. It's like rubbing honey with bits in it on your face. I find it hard to wash off as it sticks to your skin. When you squeeze it out the tube the granules in it look huge-and you would expect them to be abrasive and scratchy. But they aren't, they dissove quickly as you scrub-in fact you can barely feel them at all. And finally, it breaks me out. On paper, it contains ingredients I love and I love Origins as a brand-I want to love it!! But I can't. I'm currently using Dermalogica Daily Microfoliant which seems much more suited to my skin. And that's it-well done and thank you if you're still with me at the end of this epic post!!! It's taken ages to write-do people enjoy these types of post? Are they overdone? Do I do one next month?? Please link me to you empties post by leaving me a comment below-I love reading them! Good job on finishing up everything! Love this post! Thank you for the mention! How are you liking Hypnôse? 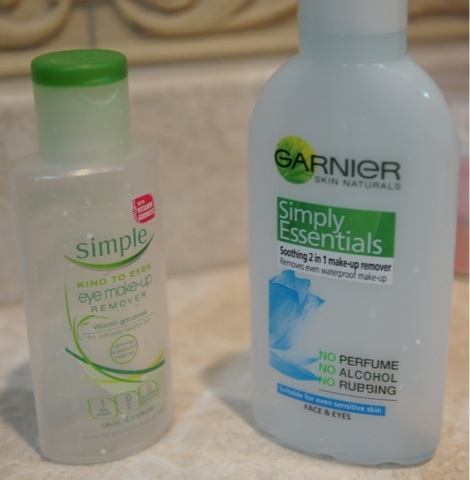 Simple eye makeup remover is now on my list since sometimes my micellar lotion is not quite enough. The Gel Cleanser, sounds great! 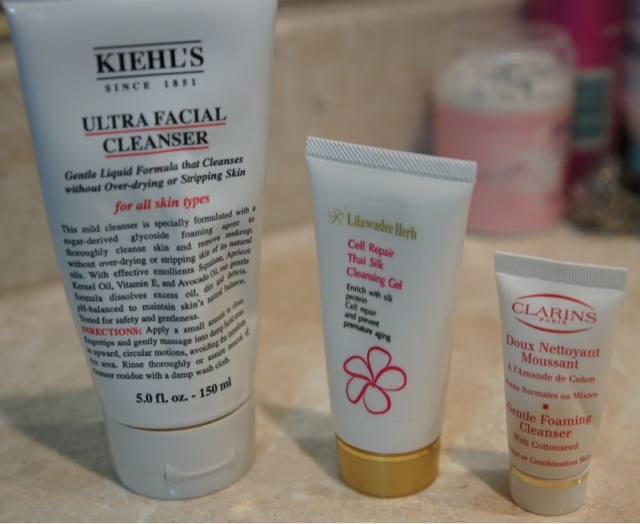 I've been wanting to get back into Clarins. Are you liking Jergens body so far? I had to stop using it due to the fragrance. I am LOVING the Hynose Star mascara-it doesn't make my lashes as 'fat' as the Estee Lauder but I really like it-like the brush too even though its a weird shape-like a flat diamond.